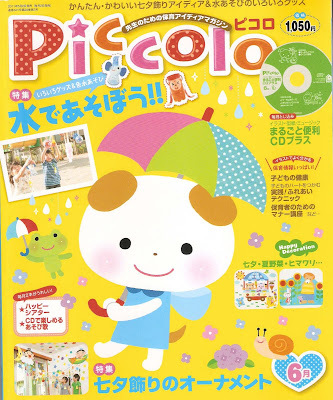 I recently discovered one of the cutest Japanese magazines, Piccolo. Piccolo is a magazine filled with crafts, games, stories, and decoration ideas for kids (mainly preschool age). The entire magazine is in Japanese but because it is picture heavy, the crafts are easy to figure out. Although, there were a few things I wasn't sure about so a friend translated them for me. Below are some pictures from the magazine. 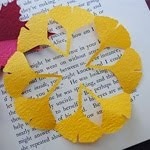 I wish I could share all the pages with you, it's that cute! I think this is going to be my new obsession. I already want a subscription. . . hmm, wondering if there's an economically friendly way to do that. This magazine cost me $18 alone, which is a little pricey. In this issue of Piccolo, a lot of the magazine is focused on crafts for the Japanese festival, Tanabata. 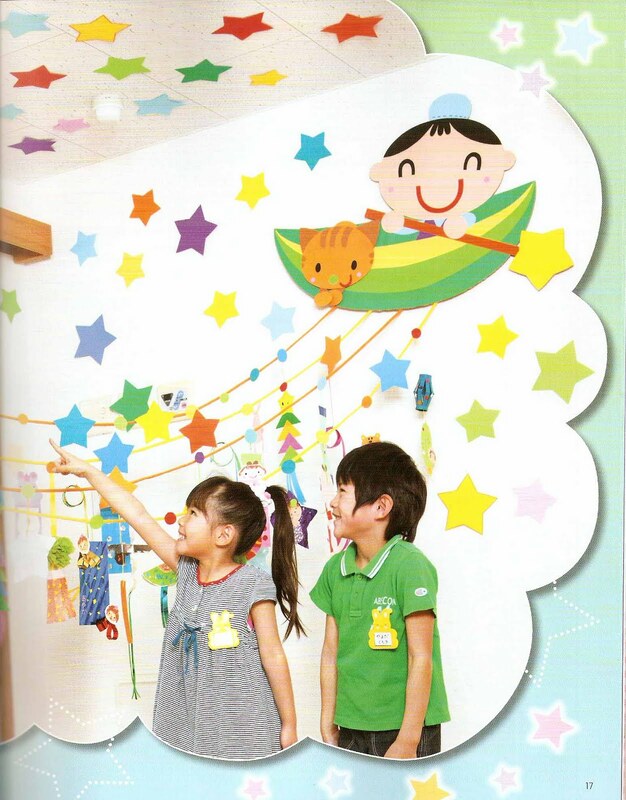 Tanabata is held on July 7th to celebrate the meeting of the deities Orihime & Hikoboshi. Apparently only one day out of the year (July 7th) they are allowed to meet. I'm told the celebration consists of decorations hanging from bamboo. In the picture above there are hanging decorations you can make for the festival. 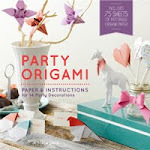 The magazine has all the templates for the images. 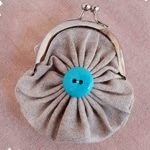 It even comes with a CD for patterns. 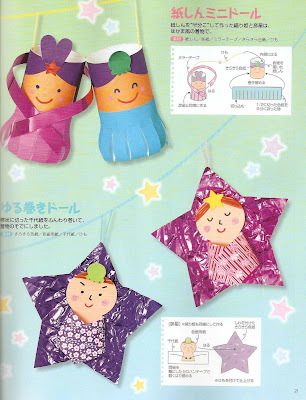 These are crafts projects that represent the star prince and princess (Orihime & Hikoboshi). Another craft I think? I forgot to have this translated so I'm not sure why they're filled with liquid. I don't know if it's for drinking or decoration. But you've got to admit, these have to be one of the cutest uses of plastic bottles. A craft/ hide and seek game. cute and colorful like lollies. This is adorable. This past week I made it to a Kinokuniya book store and do you know, I left empty handed? I was so overwhelmed by all the things I saw and wanted to take home with me... I couldn't make any decisions! I think I won't be so indecisive in a few weeks when I'm near another one and will be checking out the magazines and craft books a little closer! If only I didn't have to budget! LOVE.IT. Where did you get your copy from? 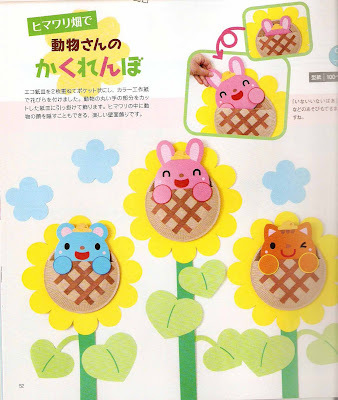 Thinking I might ask my Japanese pen pal to see if she can find some copies for me - might be the cheapest option. Thanks for dicovering this magazine!! I am putting it on my "things to buy in Japan" list. I loved Japanese magazines for kids when I was growing up. It was always a treat when my parents took me to Kinokuniya in LA. BTW, the monkey cup is kind of an experiment. 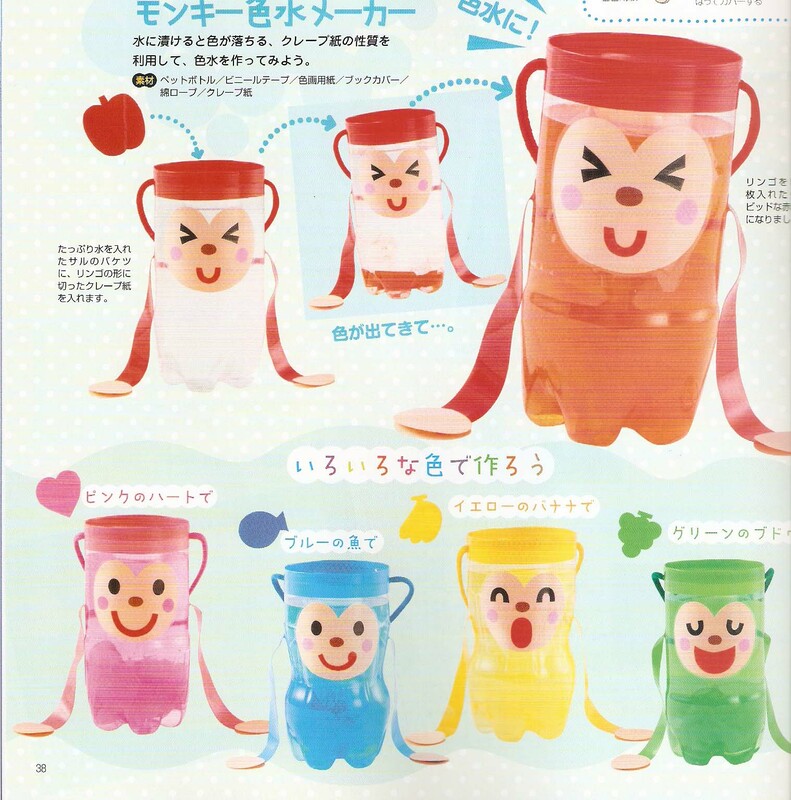 The red one says to cut a piece of apple shaped crepe paper and place it in the cup of water. The water turns into the color of the crepe paper. Pink one uses pink heart-shaped crepe paper, etc. Hi! I've been trying to get a hold of this magazine! Where did you get your copy? :) THANKS! I purchased the magazine at Kinokuniya bookstore. You can probably find it online too.